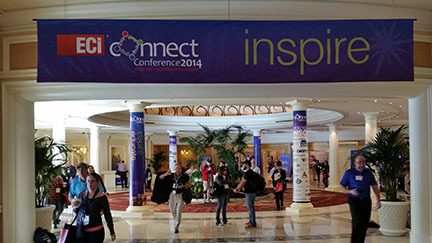 Complete Show Services design concepts provide stellar results. 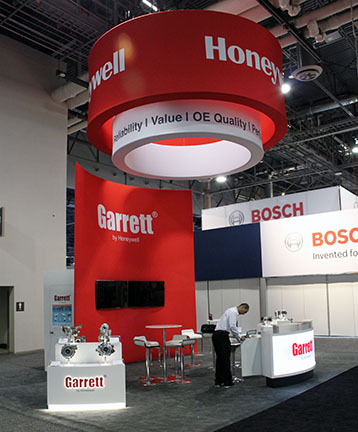 Whether utilizing cutting edge lighting for that perfect environment or bold striking colors with SEG graphics, the results are inspired; from start to finish – we are your partner in bringing your Brand alive on the show floor. 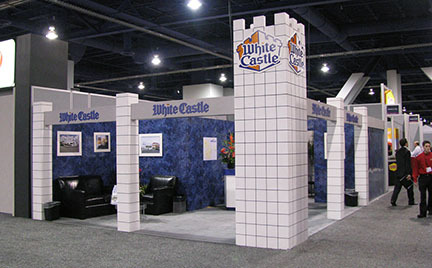 If you are at a loss for ideas, let our award winning design team create your exhibit from infinite design possibilities. Our ability to integrate combinations of materials to achieve the environment required for a trade show, meeting or travelling road show is industry leading. 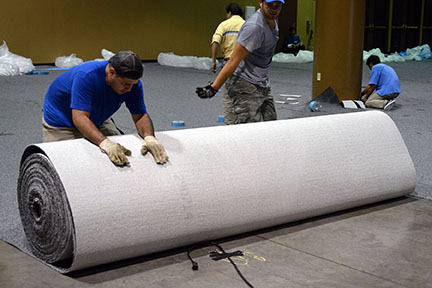 With every type of substrate material, flooring and graphics capabilities available, our team of dynamic, imaginative designers, will turn your dreams into reality. From high tech designs to retro looks to sleek functionality, we will exceed your expectations. Upon completion, we won’t leave you hanging out in the cold; Complete Show Services will marshal its resources for you. As a fully integrated Complete Show Services organization, our stellar I&D crew & transportation Logistics division will seamlessly manage & carry out every aspect of your successful exhibiting experience. Complete Show Services offers custom exhibit rentals that allow our clients to meet their exact needs without the expense of fabricating something new from scratch. With our dynamic rental inventory, Complete Show Services can provide a customized exhibit without the financial burden of building a new exhibit from scratch. With attention to detail, a dramatic flair and innovative thinking, we can mold your needs and specific requirements into the perfect display. Throughout the process, our experienced exhibit professionals will guide you to success; budgeting, designing, organizing and scheduling the entire process is done creatively, economically and efficiently. We turn your dreams into reality…On time and on budget!! Below are services that we can offer our clients. A completely versatile exhibit system with capabilities for every shape and size from straight to radius curved, allowing any type of display fixtures for product (shelves, garment rods, back lit lighting, fiber optic accents). Rigid framework designed for openness that can support roof structures, lighting, sound or video screens as well as large scale graphics. 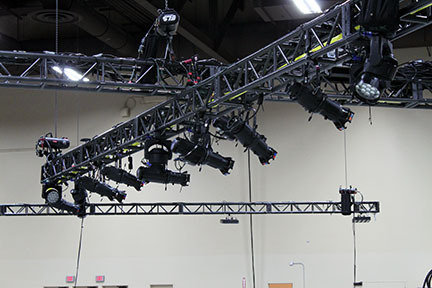 Truss systems offer infinite design possibilities. 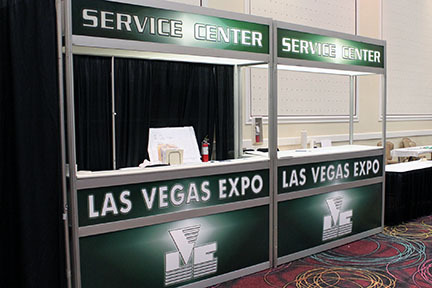 Complete Show Services inventories Portable display “pop up and open” framing with attached panels, graphics, lighting and accessories. Available in stock designs or completely customizable layouts. The workhorse of exhibit fabrication. 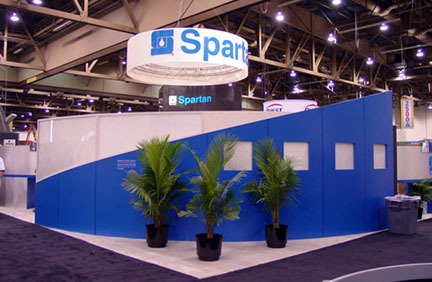 Panel systems are prefabricated exhibits composed of connected rectangular panels of various sizes. Its versatility is unmatched in its ability to utilize any finishing surface from brushed aluminum to Formica to faux finishes and accessorized with flat screens, LED or fiber optic lighting with large format illuminated graphics. 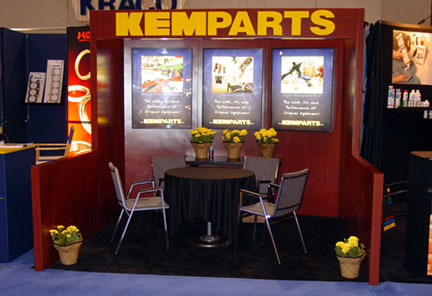 Consistent Brand logo color matching environment is this type of booths strong point. Lightweight systems on aluminum frames. Features are low weights for its corresponding display size and the ability to utilize either opaque lighting from the front or transparent when rear lit. Also known as “scrim” fabrics it is adaptable for any type of logo or image reproduction. Rigid framework designed for openness and can support roof structures, lighting sound and large scale graphics. Infinite design possibilities. 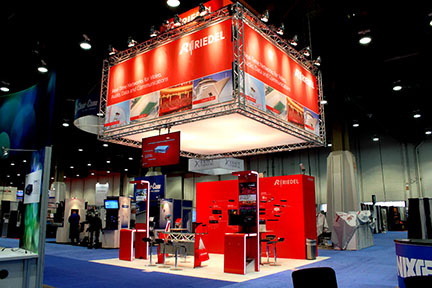 Custom designed units can integrate truss, panels and stretch fabrics within the display. 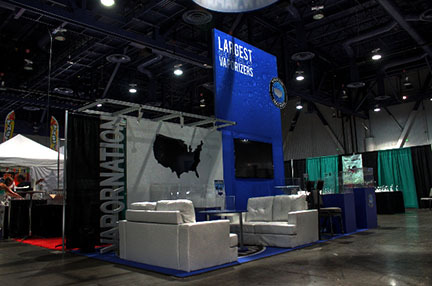 Complete Show Services Exhibit design team will create your booth with an array of materials that is sure to elevate your show floor visual presence and impact. Complete Show Services offers complete Installation & Dismantle labor services from coast to coast. 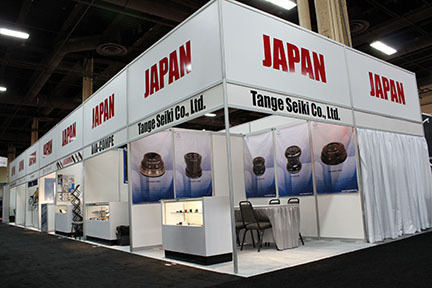 Our highly specialized team can manage and supervise and properly handle your entire exhibit building needs. 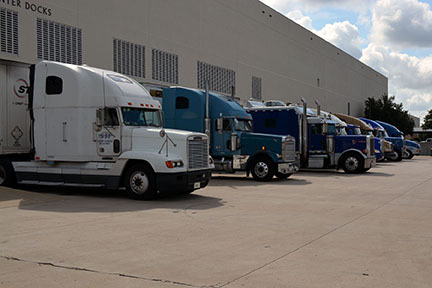 Complete Show Services dedicated rigging crew can flawlessly execute your rigging requirements. 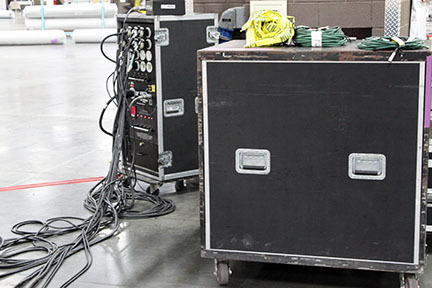 From hanging signs, rigging lighting or audio gear to the delicate installation of machinery, Complete Show Services experienced, trained and certified crew will professionally perform and safely execute any project. Trade shows & convention materials arriving on time are important to your business, that’s why you need a freight partner you can trust. LVE Logistics is that partner. With over 25 years experience in freight forwarding, we can assist you with all of your tradeshow and convention shipping needs – from booking to completion – even Customs clearance. 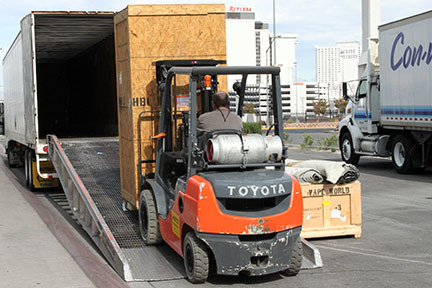 At LVE Logistics, Tradeshow and Convention Freight is our core business and because we only concentrate on conventions, we make sure we do it very well……On time, On Budget. With so many moving, interwoven and integral time critical components to handle for each exhibit, why not let our deeply experienced Project Mangers take the worry and hassle out of your exhibiting experience. 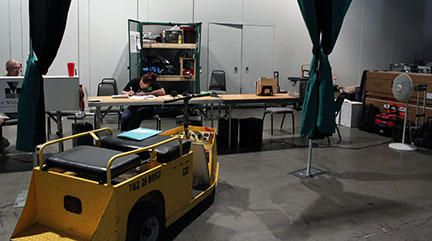 From the inception to conclusion, our Exhibit divisions’ staff can manage every detail for you. Complete Show Services offers any color in the rainbow, any style or texture. With thousands of color and style combinations plus custom dyeing, logos and inlay options, we have the right solution for you. From one-time use high traffic commercial grade to custom plush 30oz, 50oz, 64oz right up to deep thick 124oz and higher weights. When you need a yellow brick road or faux wood plank flooring….. or anything you or our design team can imagine. With cutting edge technologies LVE can produce any image on your flooring or a simple sleek look to augment your exhibit space. If you want the real thing for your exhibit environment then we can use eco friendly bamboo, cork, sisal and wood or other sustainable wood products to capture the right colors to step out on. 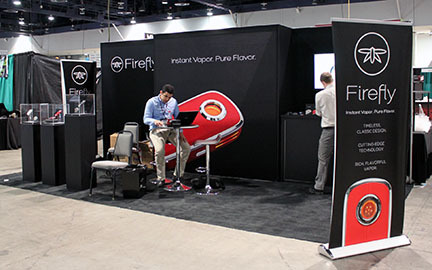 This versatile, flexible system in 100’s of colors can be easily resized and reconfigured to meet your changing exhibit needs, whether you want to showcase a product or create an eye-catching exhibit floor. The surface can easily be updated within minutes with new colors, printed graphics or materials (aluminum, HPL and electroluminescent foil surface materials available) to give you a fresh look. 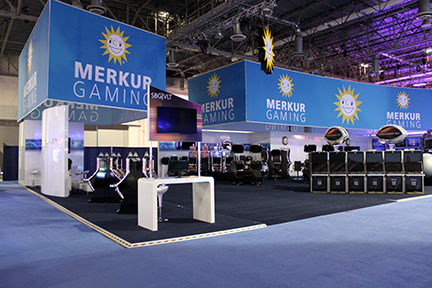 Raised flooring is an increasingly popular option for exhibits and events. It provides a distinctive look and feel, as well as an easy way to manage utilities. Complete Show Services offers four raised flooring systems to give you convenience, cost savings and a range of design options. From poster size session signs to 8’ tall Directional boards to building wraps, large format digital print graphics are eye catching and captivating. Our graphics department professionals insure that your large format print reflects your colors accurately (color registration) and attracts attention. Our designers work with you to provide maximum presentation value with striking finished graphic signage that are easily viewed and readable and fully incorporate your Brands message By offering a vast variety of large format printing products and services, Complete Show Services will meet your convention, event or trade show needs, budget and deadlines. SEG is a high-resolution dye-sublimated fabric graphic finished with a thin silicone strip (or welt/gasket). The results is a large format graphic that looks better than the old fashioned hard panel graphics commonly found on custom displays and interior spaces. What is unique and special about SEG is that lightweight fabric is more durable and color correct than traditional direct print graphics. SEG is ultra versatile and can be used on many SEG aluminum extrusion display systems and is the perfect choice when more graphic and less frame is desired. Complete Show Services is your complete turnkey printing solutions source. All of our printed products (flatbed, roll to roll, latex, UV, solvent, and dye sublimation) and services offer precise visual presentation. Any type of sign or graphic can be finished as you require from hems, grommets, webbing and CNC routing. Our Trade Show design experts will give you expert solutions to any print display with the right product or service for your end use. Complete Show Services provides visual presentation solutions that can help generate more excitement and sales opportunities for you and your business. 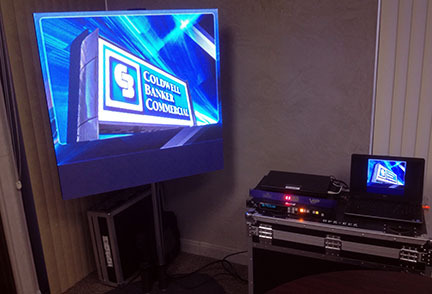 From energy-saving, illuminated LED products to backlit boxes to multimedia touch screen kiosks, Complete Show Services offers the latest in visual presentation technology for indoor and outdoor environments. Options include snap front, frameless fabric, magnetic front, and locking hinged designs with fluorescent or LED lighting options. 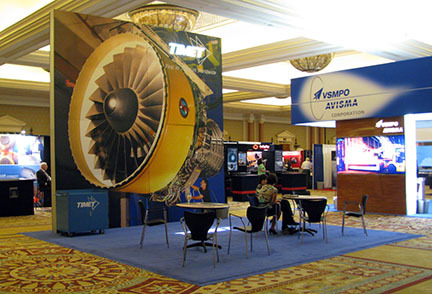 We also produce custom products, including large-format kiosks, directories and other eye-catching graphic display solutions that can take your exhibit display to new heights. 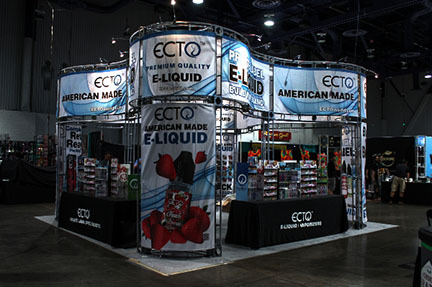 Rise above the crowd with Hanging Structures made from extruded aluminum in a variety of shapes and sizes, then hung from the ceiling of the exhibit hall to top off your overall design and draw attention from attendees in aisles far away from your booth. When you want to use the air space above your display, let Complete Show Services create the perfect finish to your display in vibrant colors that are a commanding addition to your exhibit space. Retractable banner stands offer an easy and economical way to add brilliant colors and graphics to any trade show exhibit area. The large canvas area naturally increases the visibility of your exhibit. 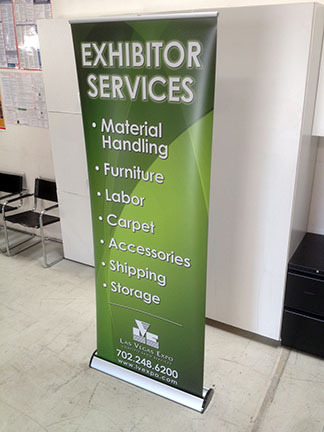 Banner stands are easy to use and to transport, making your trade show experience more enjoyable. 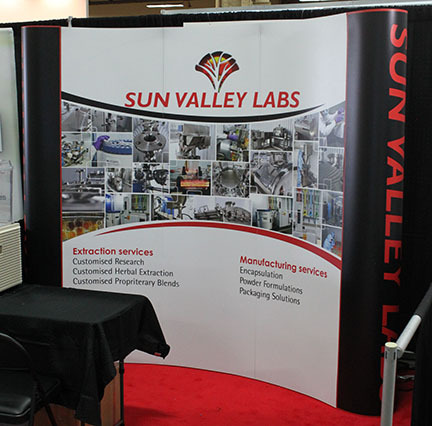 Complete Show Services offers affordable banner stands with uncompromising quality. Static clings, Lo-tac graphics and floor signage can be printed in any size, from small cling stickers to large promotional signs. With options such as shape die-cutting and clear static cling available, your Branding can be placed on any surface. Most of these are completely reusable and repositionable for maximum flexibility on site. There is no better way to grab attention than with large format video walls. 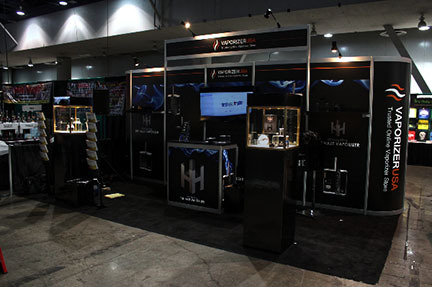 Complete Show Services can complete your exhibit with the latest technology and gear. We stock all video display essentials including LCD projectors and portable projector accessories and monitors using LED. 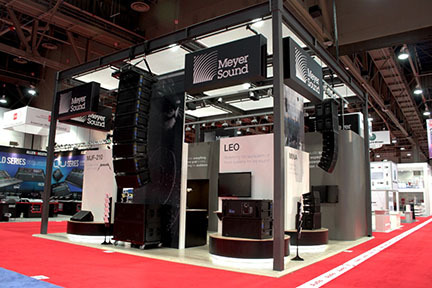 From A to Z, Las Vegas Expo can fulfill your audio visual requirements. Our inventory includes everything from “Traditional” AV equipment such as cue systems, flipcharts, and easels to Laptops, printers, and other computer equipment and related accessories. A full range of equipment is available with rental items such as Sound equipment/accessories including media players, microphones, mixers/amps, speakers, press boxes, and assistive listening devices. From General Session large scale video screens to live event satellite uplinks Complete Show Services capabilities are unlimited. Complete Show Services can crew your production needs through our affiliate companies with live theater and broadcast professionals for your entire event. Our talented staff can fill any of your needs: Producers, directors, technical directors, camera operators, audio technicians, Gaffers, grips, lighting techs, PA’s.